Want to cuddle with Sezcov? Empathy, Respect, and Communication are the three keys that open doors to a world of possibility. I always carry these three keys with me. My name is Sezcov, I am located in San Jose, CA. But I am originally from Puerto Rico. I believe that my soul is in this world to connect and make people feel better and valuable. I fully trust in the power of the energy and in the ability to connect with other with and without touch. Sometimes people need be listened to and my background in psychology lets me help people change their lives through listening. But sometimes people need physical connection and that is something a psychologist does not provide. I believe that every soul deserved be treated with respect and kindness. I like to assume challenges and work hard to find solutions and make permanent changes in people’s lives, through listening and providing tools and guidance to them. People describe me as a person that adapts easily to transitions and changes. Dance and travel are two of my passions. 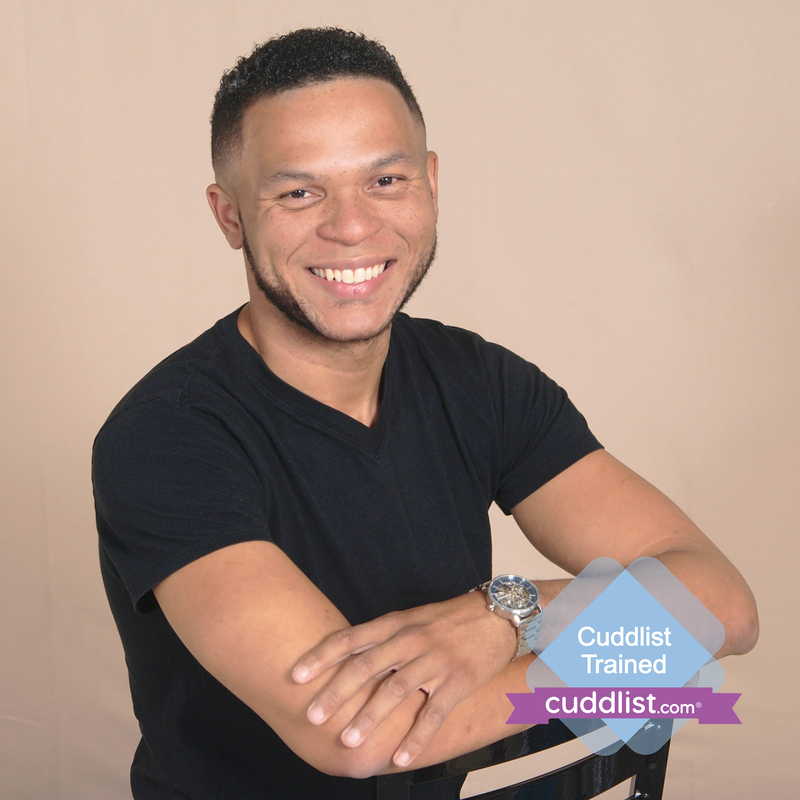 From my cuddle session you can expected unconditional acceptance, empathy and exchange of positive energy through the healing touch. Before booking a session it will be great see if we are a match! Please answer the screening questions. I will send you other forms to read, signs and date. Take some time to write questions that you have for me even about myself or about the process. I will be answering those questions via email in the next 24 to 48 hours. After this the next step will be to coordinate a phone call before we schedule a time and date for our cuddle session. The service is offered only in an outbound call. Standard fee for a our cuddle session in San Jose, California is $80. Any session out of the limits of San Jose to San Francisco have an additional fee of $40 per session. The payment can be submitted via paypal or Cash App. A session needs be canceled within at least 24 hours prior the cuddle session or 50 percent of the cost of the session will be charged to the client. I am looking forward to share a positive experience and cuddling with you.